Living in an increasingly toxic world can take a toll on your body, even your skin. Responding to such concerns, our herbalists created this tea to help beautify skin by gently stimulating the body’s natural detoxification process. 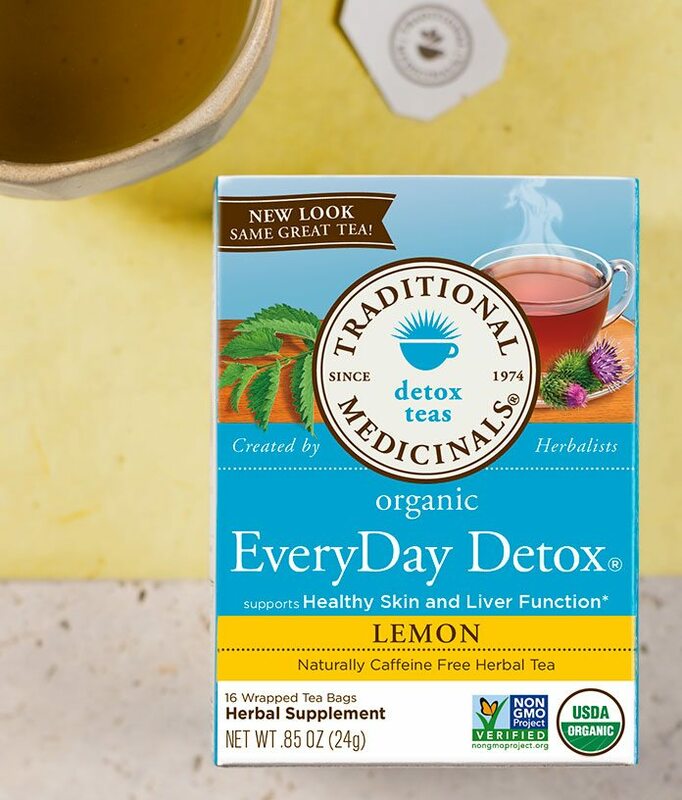 * By helping the liver break down fats during digestion and by promoting flushing of the kidneys, the herbs in this tea gently support the body’s ability to carry away wastes. * Pleasantly mild, bittersweet, and earthy, this tea is a classic European herbal combination of burdock root, stinging nettle and cleavers blended with lemon myrtle for a lemony-citrus taste. Balanced bittersweet, with hints of aromatic citrus. Some of our favorite nettle is hand-picked (ouch!) by wild collectors in Poland, then dried and cut before being bundled up and sent on to us. Support your body’s natural detoxification process. Don’t let nettle’s feisty sting scare you! Although dainty and inconspicuous, this herb is a scrappy powerhouse. Pour 8 oz. freshly boiled water over 2 tea bags. Squeeze tea bags to ensure maximum goodness in your cup. Enjoy up to 2 cups daily. Best if drunk 30 minutes before or after meals. For Adults Only!